Maybe I'll bring one to show Robban and Ronald this afternoon. Edit: sort of a Freudian slip to put them next to my three-year-olds Pippi umbrella. 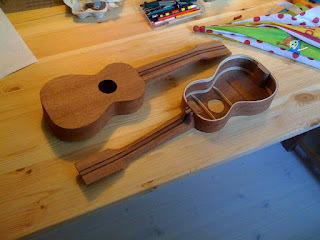 How will the ukulele ever gain respect if the connection with kids and toys never ends?! 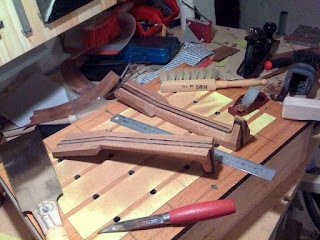 then maybe maybe I'll throw in some binding. stuff. I have to think about it. 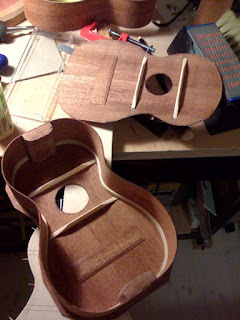 the necks are next, after some arching of the bottom of the sides. 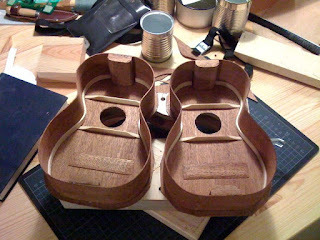 Back braces will be put in place before the backs. 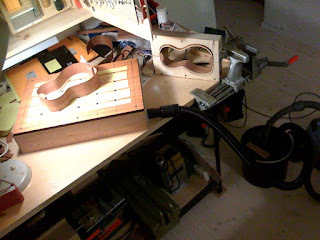 clamps, but doing it this way works really well with just seven. 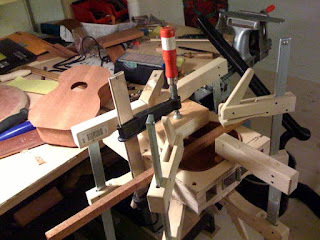 Forgot to mention, braces are spruce, patch mahogany. Leaving for Vienna on sunday. Maybe I'll get something done before then. 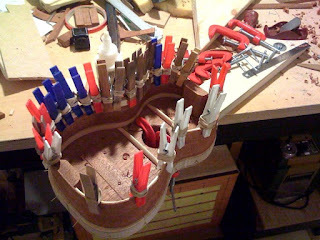 the first one to a set of sides. instead. 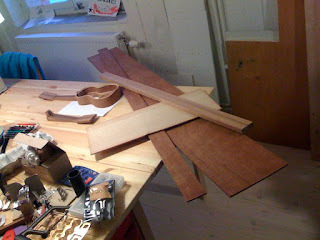 Next will be bracing. 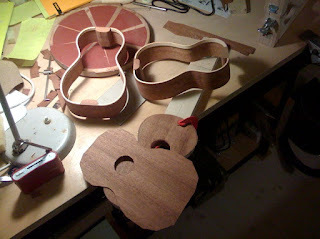 spruce top, and the rest will be mahogany. something about the dust covering me and my shop. through a hole in one of the walls. magically even when the vac is at a really low and almost quiet setting.